The model which introduced the Centurion brand and probably the most popular model through 1984 It evolved constantly over the years, LeMans RS model, Centurion's very popular, income-generating, mid-priced machine. 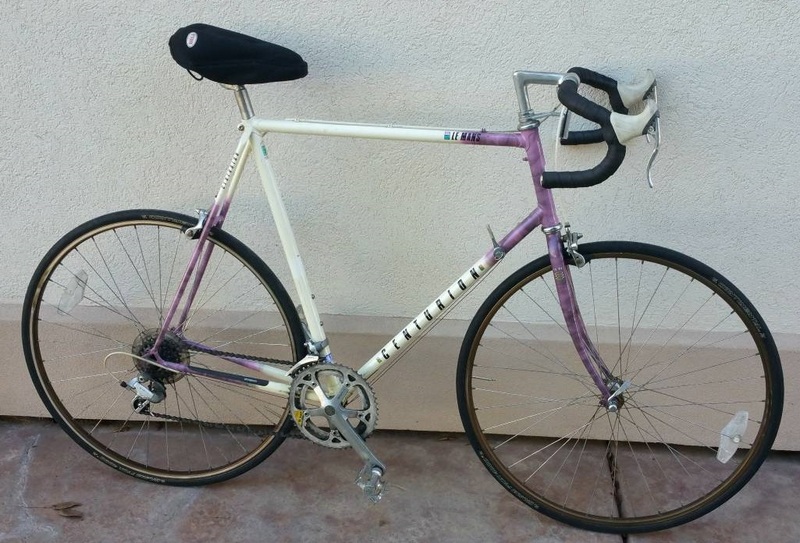 1980s (Early) 12-speed with a Tange Infinity tubeset and a mix of Suntour and Sugino components. 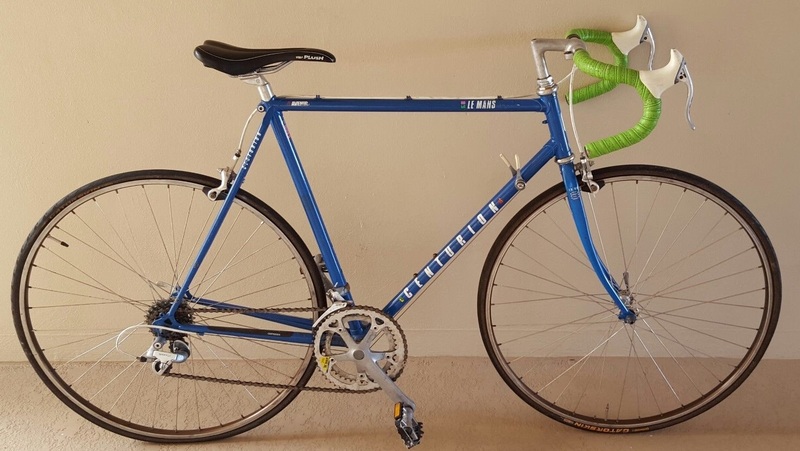 1987 it boasted the somewhat lighter and seamless double-butted Tange #2 tubeset and Shimano's "Light Action, Light Touch" group. Paint: Double undercoat with two coats of baked enamel, Finished with a highly resistant clear lacquer. Extras: Alloy Spoke Protector and two inch rear reflectors. Sizes: 19" 21" 23" 25"
Grouppo: drivetrain was complete Shimano Exage Sport, including pedals. Wheels: Exage Sport hubs laced to Araya 700C rims. 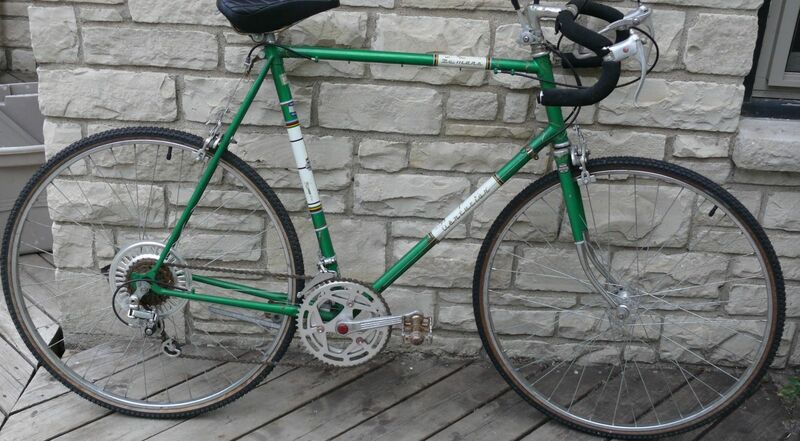 Weight:claimed 24.5 lbs ( 56cm frame). Sizes 46, 48, 50, 52, 54, 56, 58, 60 & 64 cm. 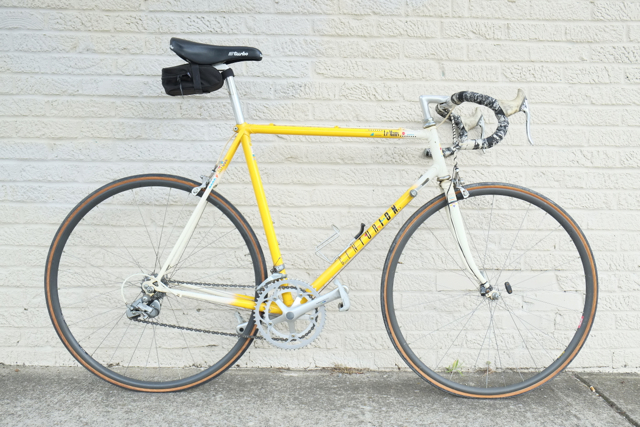 1989 it appeared with the Tange #2 tubeset but fitted with Shimano Sport LX components. Alot of times the color schemes may have been used the year before on the higher models, as example the lemans above with the white to purplesmoke fade paint, although this was available on the 1988 Models,given the Decals, this was a 1989 model. Dont let the colors trick you. In the mid 70's the LeMans sold for $139. 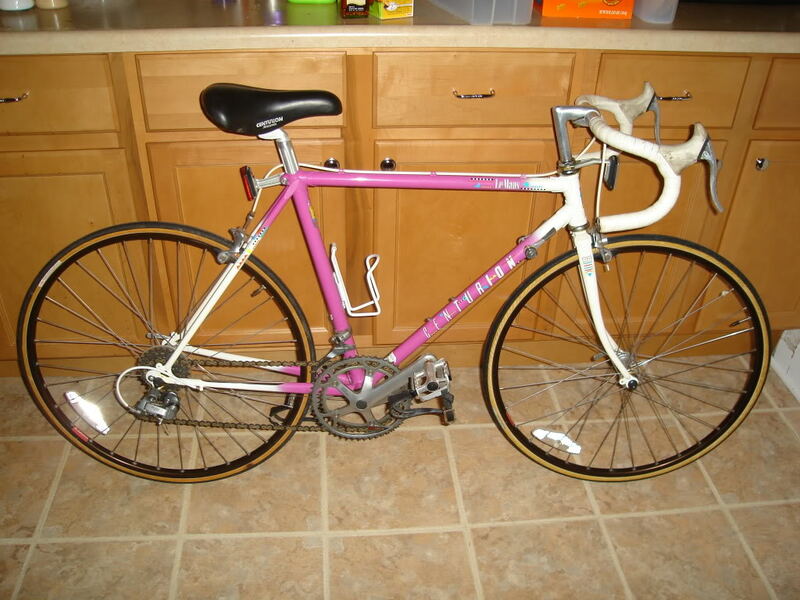 and the Super LeMans for $189.